Vietnam is a breathtaking country to spend a holiday and potential market to seek business opportunities. Depending on nature of the trip, you may be issued tourist or business visa. With 8 years of working experience in the field of immigration, we are happy to share necessary information to get Vietnam visa quickly in New Zealand. How long you can stay in Vietnam with a visa? Length of permitted stay is determined by visa validity starting from the entry date you enter in the application, whereby you can obtain the visa as early as 6 months prior to the trip without being afraid that it may get expired before your departure. A tourist visa allows a stay of maximum 90 days and a business visa grants a longer stay of up to 12 months. At present, the citizens of New Zealand have options to get visa either before arrival or on arrival. 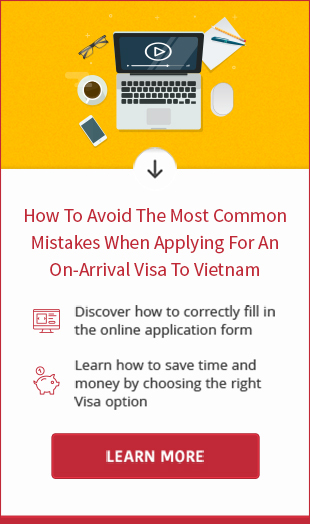 With “before arrival” option, you are advised to file application at Vietnam Embassy in New Zealand. As for “on arrival” option, you can enjoy the comfort of home while applying online. The embassy is located at Level 21 – Grand Plimmer Tower, 2-6 Gilmer Terrace, Wellington 6011. It’s possible to apply in person or by mail to the embassy. The waiting time for visa issuance is 5 working days since receipt of complete application. In case of emergency, it takes only 1-2 working days (extra fee is required). • Original passport: should be valid at least 1 month after the visa expires. If you travel by air, the airlines will require your passport to have 6 months validity. Passport copy is accepted in case you request a loose-leaf visa. • Completed application form: available for download on website of embassy. Print out the form, sign on it and affix with 01 passport-sized photo. The application for loose-leaf visa needs 2 photos. • Visa fees: should be paid in cash for in-person application. 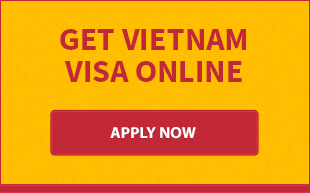 If applying by post, the fees must be in the form of MONEY ORDER, or CERTIFIED CHECK payable to "EMBASSY OF VIETNAM." Applicants applying together may submit combined payment in one money order or one check. Send email to [email protected] to check the fees. • A prepaid return envelop: must be enclosed when you request the passport with visa to be returned to your door. Fill out application form online and select length of stay from drop-down menu, intended date of entry. Please be aware that the format date is mm/dd/yy. If the system does not allow you to enter the dates, it’s likely you get the format wrong. Send visa request to [email protected] Attach your passport copy to email with information about visa validity and proposed travel date. We will reply you shortly with a payment link. Read more at Vietnam business visa. Step 2: Make payment with credit/debit card through Paypal or Onepay. If you prefer pay the fee via Western Union or bank transfer, contact us to get bank account details. Step 3: The approval and an entry/exit form will be sent to your email within 2 working days on normal basic and 1 working day on urgent basic. Read Vietnam rush visa for further information. Processing time for a long-term business visa is a bit longer that takes 5 working days. Step 4: Use the approval to perform check in flight procedure. Upon arrival, join the queue in front of checkpoint counter and be ready to submit original passport, visa approval, 01 passport photo, and completed entry form. After 15 minutes, the officer will return the passport with visa stamp and ask you to pay stamping fee before leaving the counter. It’s necessary to note that the fee must be paid in cash; only USD and VND are accepted. Last note: In order to avoid any problems at port of entry, make sure you check the errors of the visa or approval right after it is granted. If there is one or more than one mistake, contact the embassy/agent immediately for correction or issuing the new visa/approval.